When and how can I use this content? You can use these videos year round but, in our experience, they’re most helpful before and during open enrollment season. They can be included in email communications announcing benefits enrollment, embedded in portals or intranets, linked in presentations or collateral, shown during meetings, and the QR codes can be included on printed materials for employees to scan with their smartphones. Can I customize my benefits video with my company’s branding? Yes. For a small additional fee, you can have a video branded with your company’s logo. Just let us know which video you’re interested in here. We also produce customized videos for employee communications on any topic. Visit flimp.net for more information. Why should I provide my employees with a video? Studies show that consumers are under informed about their benefits and that video increases information retention. They’re engaging, fun and our clients have seen the results for themselves. This case study report features results from 200+ campaigns with an average engagement rate of 76%. How much does a video license cost? The cost of licensing a video depends on several factors including the size of your company and how many videos you need. You can contact us directly and one of our representatives will tailor a package for your specific needs. We offer discounts for volume purchases. Can I download the video file? We do not provide MP4 files for licensed library videos.  Licensed videos are hosted in Flimp’s cloud-based communications platform and can be distributed and shared via email, text message, provided QR codes on print materials, and embedded in portals or intranets. You can also contact us regarding customized videos for HR, benefits, onboarding, training, employee recognition and other initiatives (customized video projects do include MP4 files and perpetual-usage rights). Do videos play on all devices/operating systems/browsers? Our videos are supported by the latest version of every major browser (Safari, Firefox, Chrome and Microsoft Edge) within three months of commercial release. Internal firewalls can affect playback. If you run into technical issues, please contact us.